Securely store your files and access them from any computer. Online Storage allows you to securely to your files online so you can access them at anytime. Store your pictures, documents, music files and more all online. Share your files as often as you want, with as many people as you want. Bypass email attachment limits with links to the files you want to share–no more undelivered emails!. Collaborate with friends on the same file at the same time; even create multiple sync folders in multiple locations. Store any file type and share it with anyone, even if they don't have Online Storage. Choose how you view your files with four different options: Column, List, Thumbnail and Filmstrip. 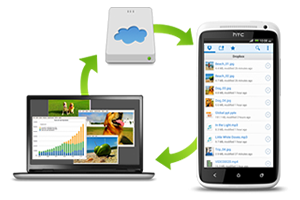 Save or download multiple files at once or bundle files together with a click for easier transfer and sharing. View and edit anything stored in Online Storage as if it was on your local computer with our Drive Map tool. Easily back up documents, media and more to Online Storage, either manually or on an automated schedule. Keep files safe during transfer to and from your account with powerful 256-bit encryption. Automatically update files across multiple computers every day, week or month with our Sync Tool. Use the Online Storage Drive Map on your computer to easily drag and drop files, photos to your online folder. Log in to OnlineFileFolder.com to retrieve, store or share everything from business reports to personal videos. Transfer files to and from your Online Storage account via your favorite FTP client. It's still as easy as drag and drop.